"Excited to share the stage with these incredible artists tonight!" 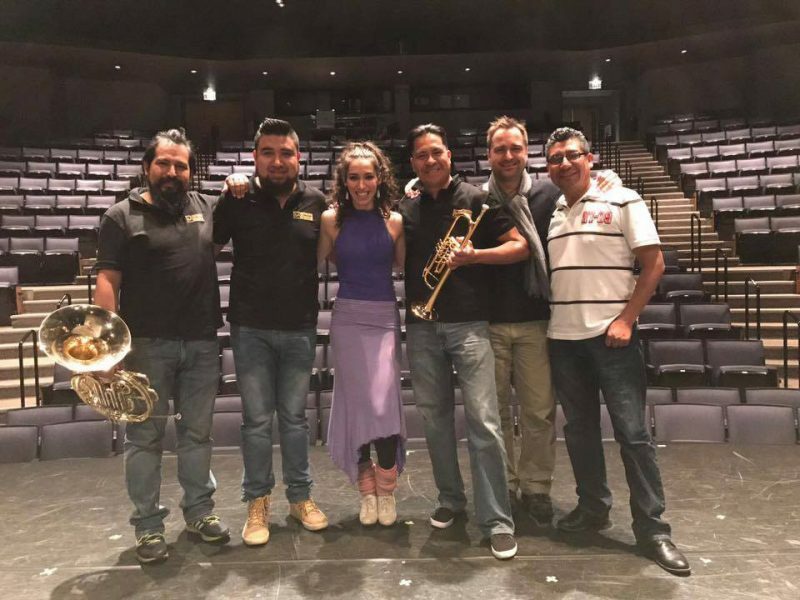 Ensemble Español"s First Dancer, Claudia Pizarro, with M5 Mexican Brass Ensemble, rehearsing for tonight's premiere performance / collaboration at Northeastern Illinois University Auditorium! Ole! 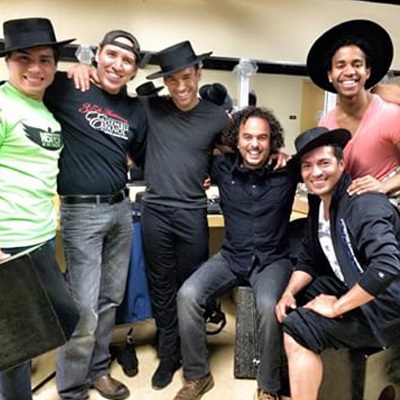 2016 Stomping Grounds rehearsal last June at historic landmark Auditorium Theatre with the men of Ensemble Español. Be sure to get your tickets for this year's Stomping Grounds on June 2, 2017 at Studebaker Theater in Fine Arts Building. 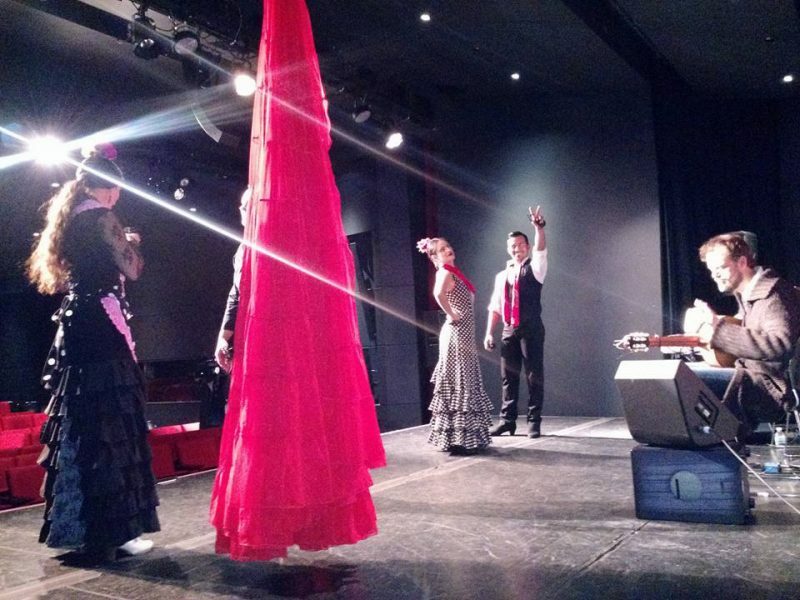 Remember Chicago Flamenco Festival is in full force this weekend through Mach 25 at Instituto Cervantes. Ole! 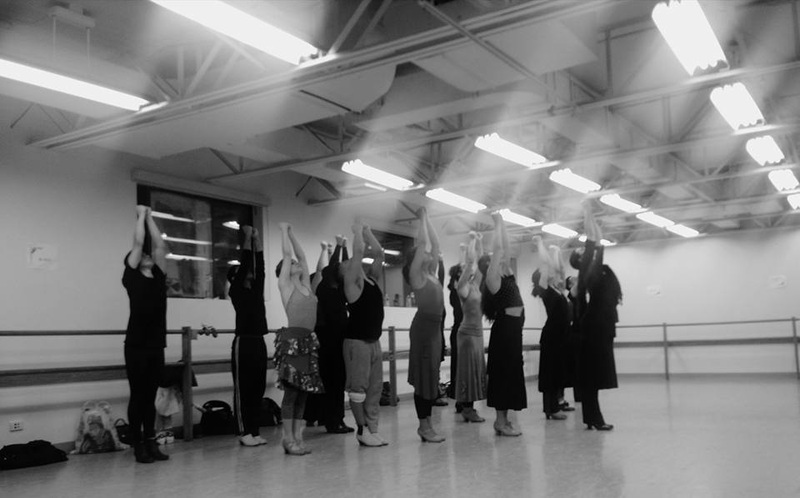 Ensemble Español Dancers, Rehearsals, Dance Studio, Chicago 2017 Flamenco Festival! Ole! Rebroadcast tonight at 5 & 9pm on channel 9. Ensemble Español's Claudia Pizarro, Jose Torres, Olivia Serrano and Juan Castellon with guest guitarist from Spain, Tino van Der Sman at Instituto Cervantes promoting the 15th annual Chicago Flamenco Festival for WGN Television. Ole! Festival runs through March 25. Paloma Gomez, guest artist from Madrid, working with Ensemble Español dancers in the neo-classical style combining Flamenco and Spanish classical technique. Guest Artist from Madrid, Paloma Gomez (former principal of the National Ballet of Spain, award winning actress, choreographer and international sought after instructor of Spanish dance) is back in full force working with the Ensemble Español Spanish Dance Theater and youth company's at Northeastern Illinois University, Chicago, through February 25, 2017 ! Welcome back Paloma! Ole! 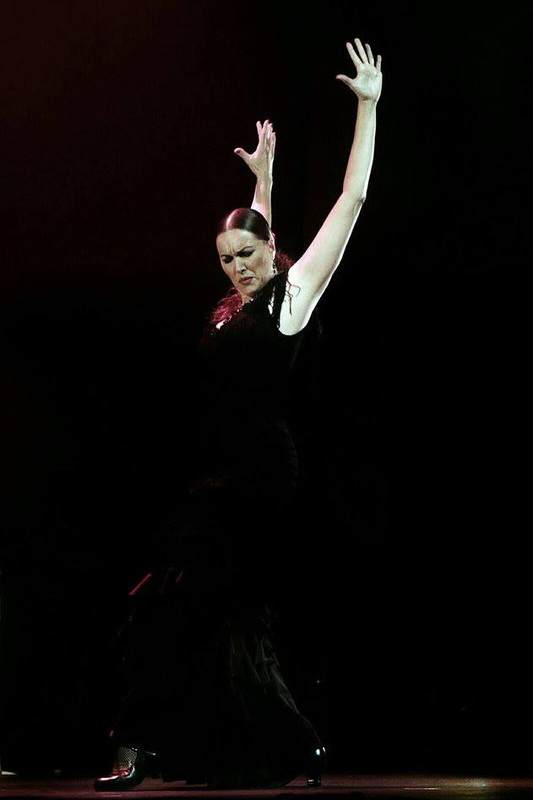 Photo of Paloma Gomez in La Rosa Negra (Flamenco Tientos) by Maria Alperi during the Ensemble Español's premiere performances at the Marquina Theater in Madrid. 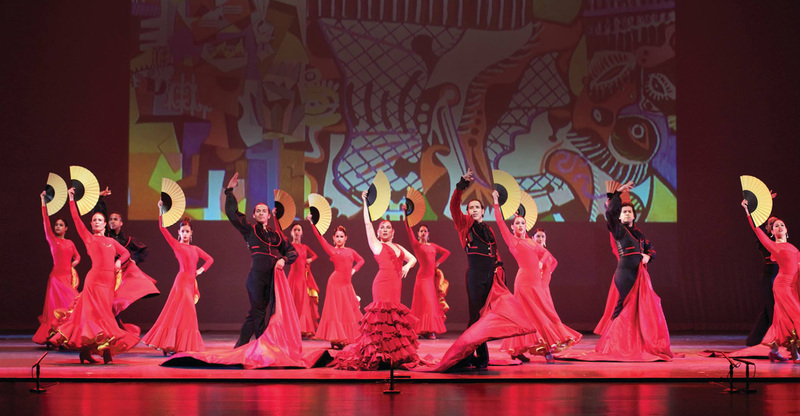 MacArthur Fund for Arts and Culture at Prince awards grant to Ensemble Español. “We are very grateful to the MacArthur Fund for Arts and Culture at Prince for this opportunity, and for supporting the growth of the company over the next two years,” Ensemble Español Executive Director Jorge Perez said. “Foundations make a difference in our city, and we appreciate the role that they play in our artistic vision."